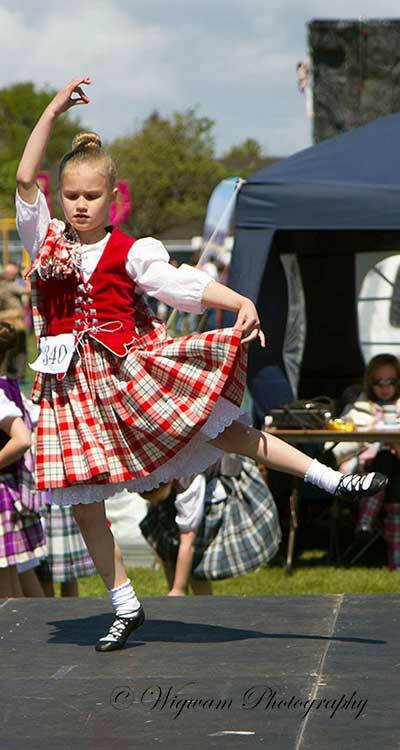 The Highland dancing competition is organised by the Robertson School of Highland Dance. The highland dancing competition attracts over one hundred dancers from all over the world to the Carrick Lowland Gathering. The contest is run under Scottish Official Board of Highland Dancing (SOBHD) rules. The school offers lesson throughout South Ayrshire. Lessons can start at 3 years of age and dancers can continue to improve their standard of dance through examinations and good training. Highland dancing has brought fantastic opportunities for Ayrshire dancers to travel and work with top musicians from all over the world. Pupils from the school have been performing in international and corporate events such as the United States, Virginia International Tattoo and World Famous Basel Tattoo in Switzerland. Aileen Robertson the founder of the Robertson school is the dance director of the royal Edinburgh Military Tattoo. Aileen is head delegate to the SOBHD representing FUSTA and is on the registration committee of the SOBHD. Aileen is also a delegate on the technical committee representing the SDTA.